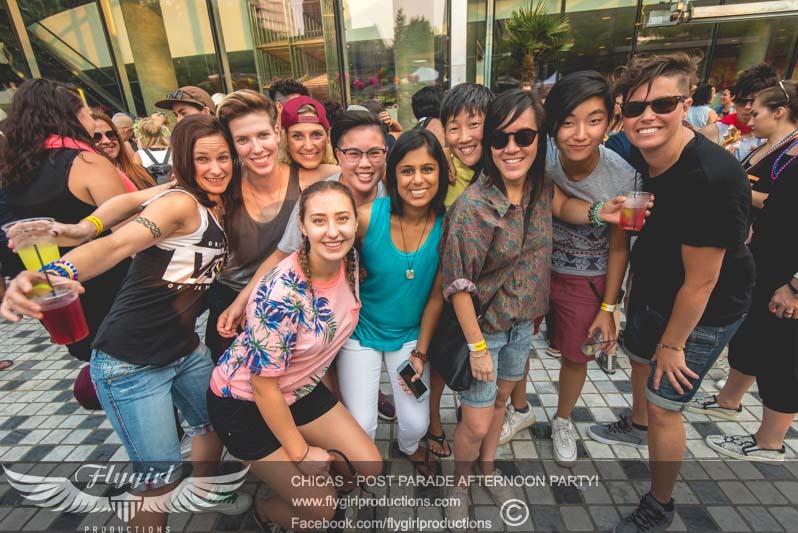 This party is an annual Pride favourite: part garden party, part day-club, full-on racket of elevated debauchery. Pillows, inflatable playthings, picnic blankets, pole dancers, lawn games, two dance floors (one inside, one out), and five—yes five—DJs, including Toronto’s DJ/Singer power-house, Sandy Duperval trained by the late legendary icon, Whitney Houston’s mother, Cissy Houston & Rose Garcia of the Real L Word fame AND – for a limited time –the famous mixologist Robyn Gray will run the Red Bull Lab Bar, whipping up delectable cocktails customized just for you. 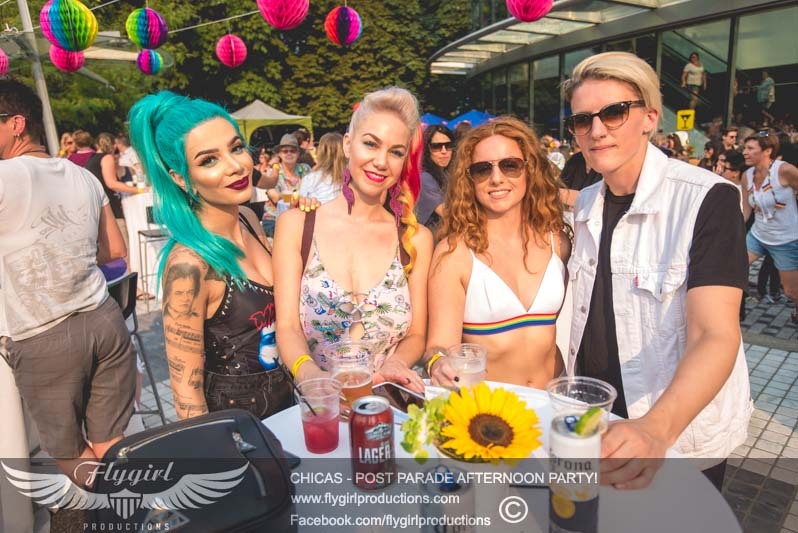 Set in the beautiful garden at the Sheraton Wall Centre, just steps from the Davie Street Gay Village, this party is always joy-filled, and only happens once a year. Everyone (19+) welcome. Need a room? Get our discounted rate of $280 @ The Sheraton Wall Centre. You can book online or call 1.800.663.9255 and mention “Flygirl” for the special rate. 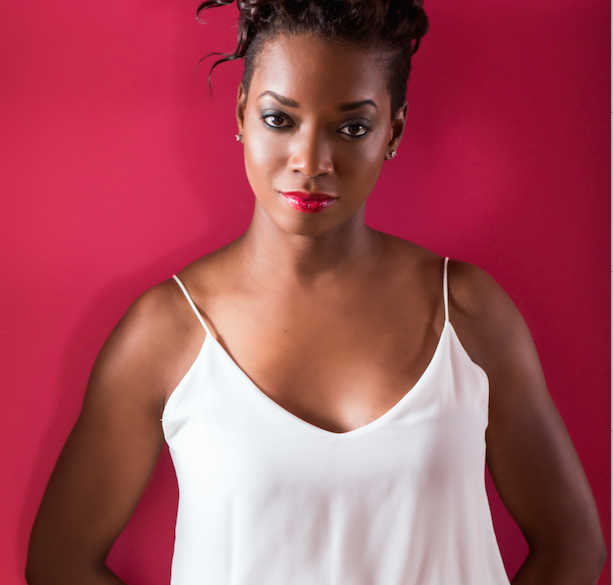 She’s a Montreal native, but Toronto is where singer, DJ, and producer Sandy Duperval resides. Sandy is a devoted and passionate artist with over 13 years of vocal training, and has studied under the tutelage of the late legendary icon, Whitney Houston's mother, Cissy Houston. Since 2008, Sandy has been steadily working hard and gaining notoriety in the world of electronic music as a DJ/singer, playing in several countries around the world. Her performances have been touted as a one of a kind experience. By mixing live vocals over her DJ sets, Sandy leaves crowds from across the globe buzzing over the positive vibes resonating after each and every engagement. Singing is Sandy’s primary love and she touts Whitney Houston, Lauryn Hill, Tina Turner, Robin S, Crystal Waters, and Martha Wash as a few of her vocal influences. It was during her studies at College de Sherbrooke majoring in Jazz Vocals that she discovered the art of DJing. Under mentorship of Hugo Lapalme, known for his exemplary DJing prowess in Quebec, she spends years improving her technique and jumps at the opportunity to demonstrate her skills in front of the camera on "Star Académie", Quebec's most watched reality tv show comparable to American Idol. However, it is her 7 year residency at the coveted evening spot College Night at Unity Nightclub that has established her as a bold and prominent DJ in the nightlife industry. Sandy is one of the very few DJ/singer artists in the industry, and it’s this unique combination that attracts events such as Montreal's own Diverscité and Pride festivals, as well as Toronto Pride's "Green Space¨ to book her as a main act to play for an average crowd of 10 000 people. As her star continued to shine, Sandy flourished and worked at some of the most respected clubs and opened for world renowned DJs such as Bob Sinclar, Showtek, Ruby Rose, Lil Jon, Carnage and many more. She started her DJ career in London, England in 2006, where she lived, modeled and DJ’ed for 8-years. Nathalie has performed at some of Europe’s most coveted events like: The Brit Awards Official After-Party & The RedBull Cliff Diving Event, plus exclusive film-parties for movie stars like Gerard Butler (@ Chinawhite Nightclub in London, England), and the most popular nightclubs in Ibiza (Amnesia) and all over Europe. Her love of music and exceptional turntable skills, have taken her across the globe! She moved to Vancouver in 2014 and has become a very sought-after DJ. DJ Aimee Hawker, aka Agent-99, is one of Whistler and Vancouver’s best known DJs. 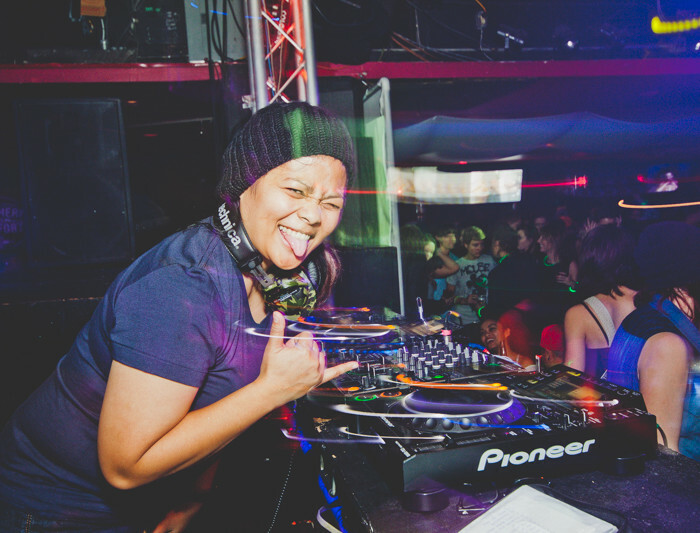 For over ten years, Aimee has consistently filled dance-floors both locally and internationally, most recently, with a DJ residence at the famous Cedar on 15 in Malaysia. 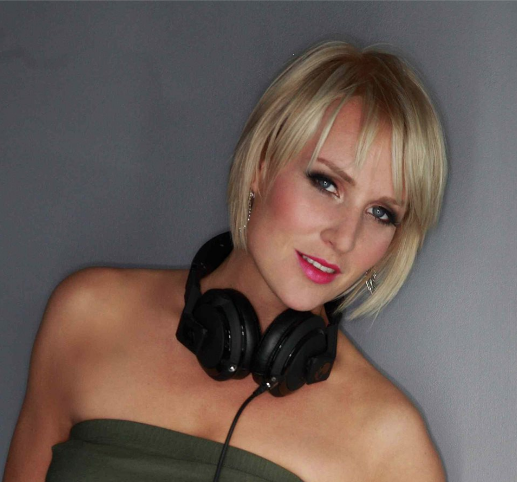 She is a regular guest on thehouse.fm Vancouver’s premier Electronic Music Station and has held residencies at the hottest clubs in Vancouver.